Andrew Lloyd Webber and Tim Rice's award-winning musical, based on the "coat of many colors" story of Joseph from the Hebrew Bible's Book of Genesis. 'Joseph' made its stage debut in London in 1970. 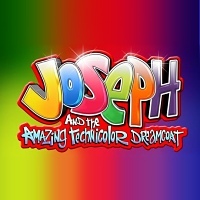 In the 1990s, the lead role was taken by TV presenter Phillip Schofield and Aussie pop star Jason Donovan who had a UK No 1 single with 'Any Dream Will Do' from the show.